Imagine your eyes causing you so much pain and discomfort that you’re no longer able to go to work. In fact, imagine your sight has deteriorated so much that you struggle to do anything alone. It’s a scary thought: suddenly having to depend entirely on those around you and eventually not being able to see your loved ones. But for six-year-old Namukolo, this could have been a permanent reality. 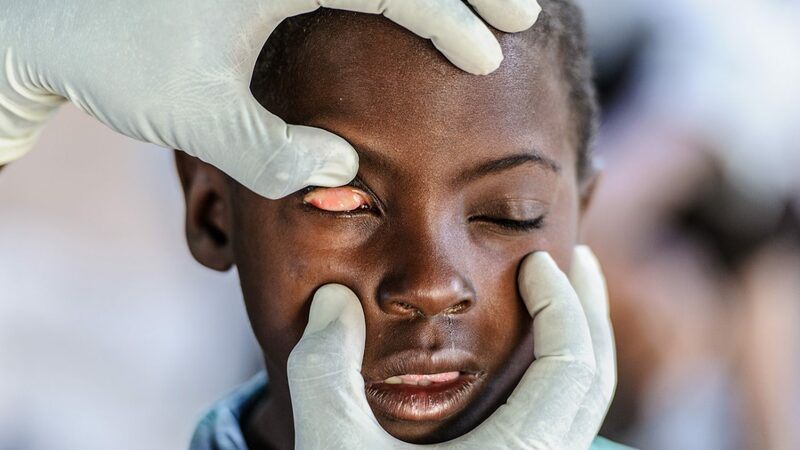 Until recently, Namukolo was suffering from trachoma – a cruel infection that can lead to scarring on the eyelids, causing the eyelashes to turn inwards so they scrape against the eye. If left untreated it can cause total blindness. Namukolo lives in a rural village in Zambia, largely cut off from the outside world. 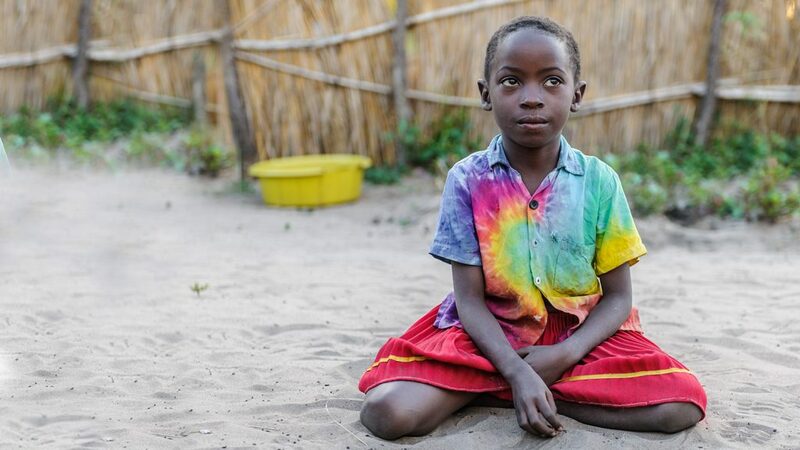 Sadly, despite her young age, she has already suffered with trachoma for four years. Her mother, Namakou, told us that when her eyes were bad she would cry constantly from the pain, and would often get fevers through the night. Namukolo’s itchy eyes would also cause her to miss school. She wasn’t able see the blackboard clearly, and couldn’t even see properly to write. Namakou was very concerned about how much school her daughter was missing and how painful her eyes had become. She even tried taking her to a health centre for treatment. They prescribed allergy medication, which, despite being helpful for hay fever, didn’t help stop the trachoma infection. Namakou earns a living through farming, and was worried that if her daughter got any worse she would need to spend all her time looking after her, and less time in the fields – meaning the whole family’s livelihood was at risk. 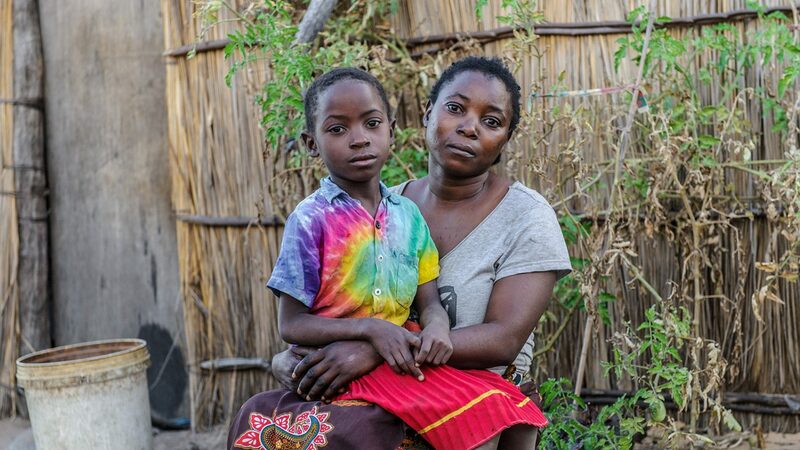 Fortunately for Namukolo, she was visited by Dr Ndalela, a Sightsavers-supported health worker, who diagnosed her with trachoma and was able to treat her with antibiotics. Within minutes of treatment, she was full of giggles and enjoyed having her photo taken with her twin brother. 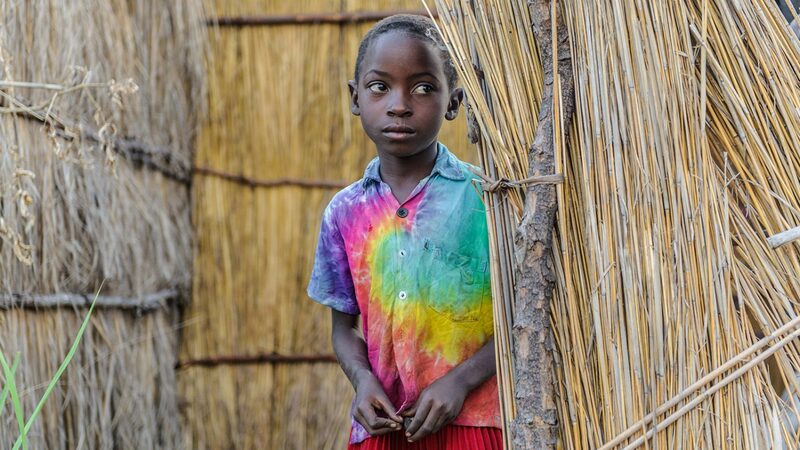 It’s thanks to the generous donations from our supporters that we’re able to stop the pain of trachoma for children like Namukolo, and give them a chance at a brighter future. But there are still thousands just like her who need our help. Will you help us reach them today? 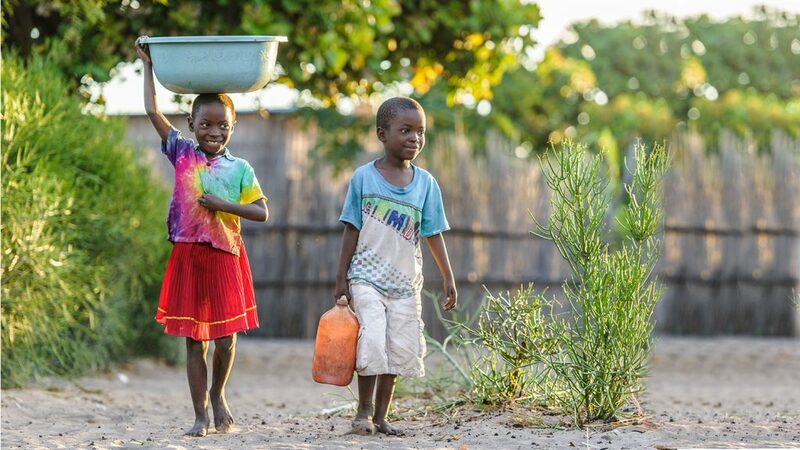 Namukolo and her brother carry water buckets through their village. Thanks to supporters like you, Namukolo is no longer in pain and has returned to school.